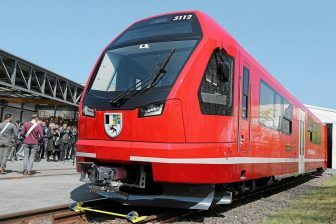 Russian rolling stock manufacturer Transmashholding (TMH) has opened a production facility in South Africa, the first one on the African continent. The company’s plant is located in the city of Boksburg, Gauteng Province. It will work under the brand ‘TMH Africa’. The opening ceremony was held on 2 April. 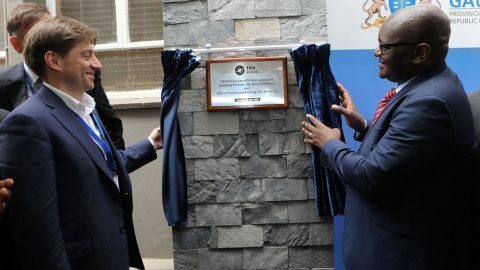 The event was attended by CEO of TMH Kirill Lipa, President of TMH International Hans Schabert, CEO of TMH Africa Jerome Boyer, as well as Director of MJISA Investment Fund (partner of Transmashholding in South Africa that owns 30 per cent shares of the facility) Sam Bembe and Prime Minister of Gauteng Province David McHura. 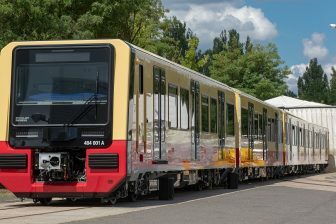 The 45,000 square metre plant will be specialised in the assembly, maintenance and modernisation of rolling stock. TMH Africa is expected to serve both African and worldwide customers. 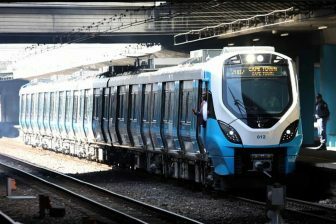 Transmashholding acquired a 70 per cent share package of the DCD Rolling Stock plant in Boksburg in October 2018. The deal was worth more than 30 million Euros. The South African plant allows TMH to expand its geography. The Russian group has many abroad offices and only two foreign manufacturing facilities – Lugansk Diesel Locomotive Plant (Luganskteplovoz) in Ukraine and JSC Lokomotiv Kurastyru Zauyty in Kazakhstan. The Ukrainian plant was closed in 2016 because of military actions. The Kazakh facility is focused on the production of TE33A diesel locomotives for the local market and for other post-Soviet countries. The TMH’s products are manufactured mostly on eight facilities in Russia: Bryansk Engineering Plant, Demikhovsky Engineering Plant, Kolomensky Zavod (Kolomna Locomotive Works), Metrowagonmash, Novocherkassk Electric Locomotive Plant, Oktyabrsky Electric Railway Car Repair Plant, TramRus (the joint venture with Alstom) and Tver Carriage Works.